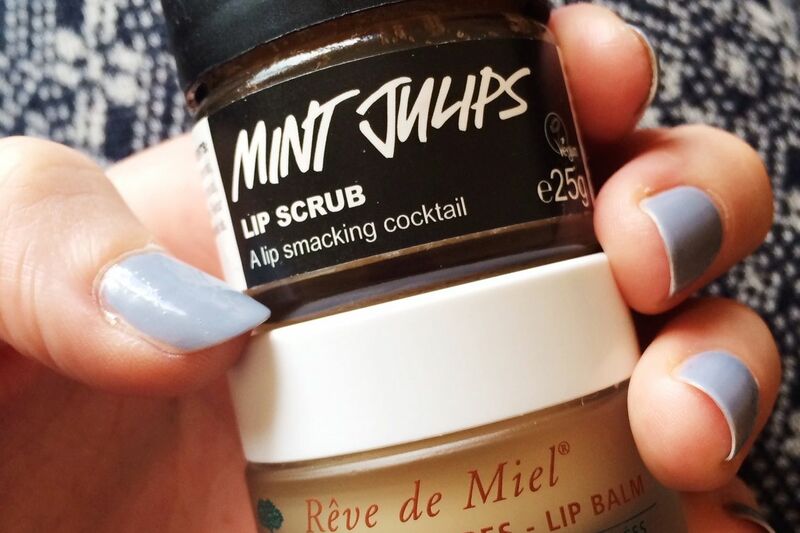 use these two products together - Lush's lip scrub in Mint Julips followed by Nuxe Reve de Miel lip balm. While I know neither of these products will be new to most of you, I love this combination so much I couldn't help but chat about it. I always start by moisturising my lips with a stick balm so as to avoid applying the sugar scrub onto dry lips. I then scrub away for about a minute or so, soaking up the delicious After Eight minty smell. When my lips are nicely smooth and exfoliated I apply a thick layer of Reve de Miel and let it work its magic over night. If you like the taste or smell of mint chocolate flavoured things you'll love it! I will definitely have to try these out this winter! I am always looking for ways to keep my lips from getting chapped and keep them moisturized!